Ah yes, it is that time of the year again—student elections. Can’t you see the hype and the booming level of interest? The crowds surrounding candidates vying to sit as executives on bodies that are supposed to be your representative voices at this school? If you can’t, then that’s perfectly fine. In fact, you are probably part of what Concordia’s student population has become—apathetic, indifferent and honestly annoyed at the thought of seeing campaign posters shared on Facebook or plastered on the walls of the campuses. As someone who was once involved in the student politics game, I got to know the good, the bad and the ugly. I got to know the pros and cons, the triumphs and the hardships. I have experienced the toll that it takes on your academics, your sleep cycle, your mental and physical health and close relationships. I would like to use this opportunity to reach out to my fellow students, notably, first years at Concordia. There has been a great absence in what you really want out of a university experience. Your voices have not been heard nor included in the everyday decision-making process. When I was a first-year student, I never got the chance to get to know my student leaders nor my department and faculty associations. Mind you, my ignorance may have been due to the fact that I didn’t attend Frosh activities, which could’ve been a stepping stone to do that. As a student executive, Frosh and orientation activities were often held as the sole standard in introducing students to university life. 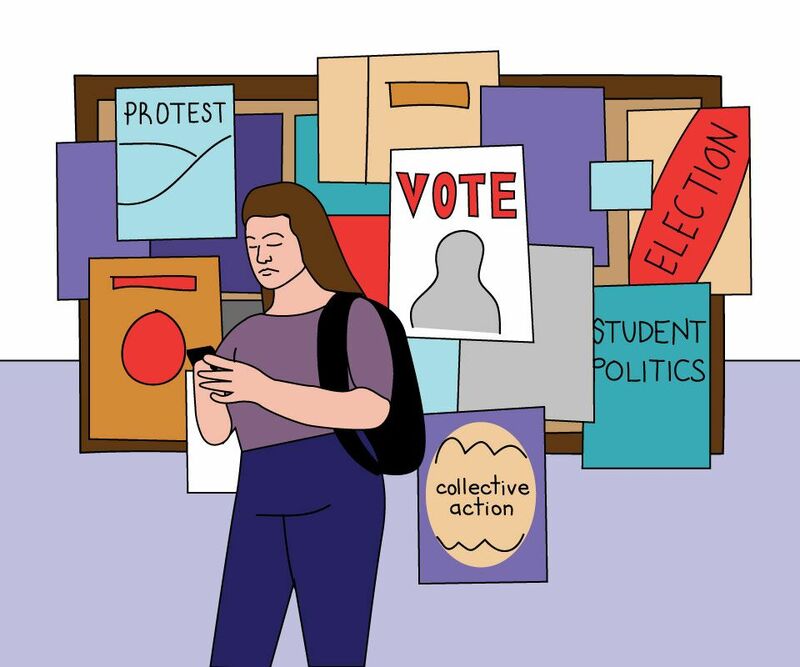 However, as time progressed, there was less of an initiative to involve those students—a lost chance to get them interested in student politics. As I got more involved throughout my studies, I noticed an emerging concentration of power—the same students running for higher positions, including yours truly. At the time, I thought student politics would help boost my skills and talents, and it does. There is no fault in that claim. Student politics teaches resourcefulness, networking and time management while balancing a school schedule and having a job—because student politics doesn’t pay unless you are one of the fortunate few to get elected to a full-time CSU executive position. Being involved also highlights your organizational skills. Being an insider in this concentration of power would irritate and bother me. I had always wanted an out. As some kept climbing this food chain of power, the negativity and polarization increased. I would stay late working on projects, and ask myself the following questions: “Is this worth it? Should I resign right now and not look back? How much would this matter on a CV?” Doubt and regret started to settle in. I would always finish my mandates, only to start a new one weeks later. I never gave myself a break and to this day, it pains and saddens me. Imagine if I never got involved in the first place. I would have had better grades, I would have made more friends on the outside than the inside. However, it doesn’t matter anymore. I have no more regrets. Getting involved in student politics can be a joyous opportunity, especially if you want to make the most out of a university experience. But be extremely forewarned at the immense cost and sacrifice that it entails. One must never give up their own mental peace for the sake of others. For the election candidates: stand up for yourself, cry if you must and never look back at the hard decisions in life. Your heart will thank you later.